Enhance your golf game when you use a Golf GPS system to help determine distances on the fairway. By getting accurate readings of the distance from the ball to the hole, you can select the proper club to use and help to reduce your strokes. There are a number of Golf GPS systems that are convenient for you to use while golfing. Golf GPS systems come in a variety of formats ranging from bands and watches to handheld PDA’s and devices that clip onto your golf bag. Here are 10 of the best Golf GPS systems available to help you reduce your score and play a great game of golf. When you’re looking for a device that will help you lower your score and measure your location on the course, get the SkyCaddie Aire II. The device includes a number of stroke saving features and is automated to allow for hands free play, allowing you to focus on your game. The system is preloaded with more than 35,000 course maps from around the world. The SkyCaddie includes easy-to-read numbers with a digital scorecard that will save the scores for up to 20 games as well as measuring shot distances, provide a pace of play timer and give accurate distances to the center, front and back of green. SkyCaddie requires no annual fees and offers several optional features including actual green shapes, a target list with hazards and carries. The SkyCaddie measures 3h x 2w x 1d inches. If you are looking for a golf GPS system that is easy to use and convenient to access, get the GolfBuddy BB5 Band. As the first golf GPS band, the Golfbuddy not only measures distances from the fairway to the front/center/back of the fairway green, but also works as a pedometer, a shot distance measurement and more. The BB5 provides you with a piece of clothing that is not only utilitarian, but also fashionable. The BB5 band comes in 6 different colors to match your attire and is preloaded with more than 37,000 courses. 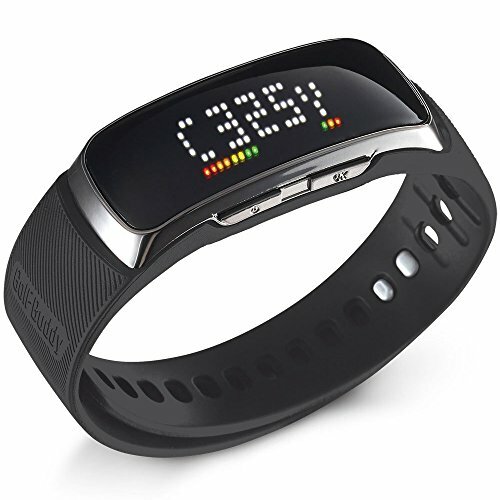 The band uses a rechargeable lithium polymer battery and weighs 1.23 oz. The band is water resistant and has an LED screen readout display that can tell you the time, play mode, step mode and distances. When you need convenience and accuracy, get the GolfBuddy BB5 Band. If you prefer a handheld device that gives you the ultimate rangefinder, check out the Golfbuddy PT4. The PT4 features a high resolution LCD screen with a slimmer body style and a more responsive interface. The device is preloaded with more than 38,000 global courses and includes a digital scoreboard. The advanced interface makes for better viewing and can be displayed in up to 8 different languages. The GolfBuddy also features a statistics analysis module and 8 hours of battery life with a replaceable lithium-ion battery. The device will operate in temperatures from 32 – 104 degrees fahrenheit and the display screen uses capacitive touch-screen technology. The system uses an automatic course recognition system and is one of the most innovative of the handheld golf GPS systems. 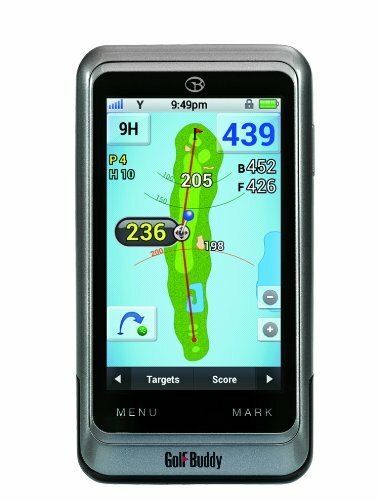 When you want a dependable handheld GPS system designed to enhance your golf game, get the Golfbuddy PT4. When you want a GPS device that gives you plenty of convenience and style, get the Garmin Approach S4 Watch. The GPS Golf Watch has an easily readable high resolution display screen with a 10 hour extra long battery life and includes the ability to receive alerts, texts and emails. The Garmin watch is preloaded with over 40,000 golf courses from around the world and is water resistant. The Garmin Approach S4 Watch also gives you free course updates along with a dedicated green view button that instantly takes you to the green view screen. The Garmin Watch also gives you customized distances, allowing you to measure from wherever you are on the fairway to the back, center or front of the green as well as measurements to bunkers and water hazards. When you want a convenient GPS Watch, get the Garmin Approach S4 Watch. Get an easy to use system that can clip on to your belt or golf bag as well as being small enough to be carried in your pocket when you get the Callaway Eclipse. The unique design of the Callaway Eclipse gives you an easy to read screen with a reversible, removable clip as well as being preloaded with more than 30,000 courses from around the world. There are no annual fees and the unit includes a rechargeable lithium-ion battery with an automatic time and date that is set by satellite. With auto-hole advancement and shot distance measurement, the Callaway Eclipse features an odometer and measures distances not just to the front or back of the green, but also to water hazards and bunkers along the fairway. The Eclipse has a 1.28″ display screen and weighs 2.08 oz. For a convenient Golf GPS, get the Callaway Eclipse. Carry a convenient Golf GPS device that fits in your pocket when you get the Bushnell NEO Ghost. The device comes in a Neon ghost green color and is preloaded with more than 35,000 courses and their are no membership fees or downloads. 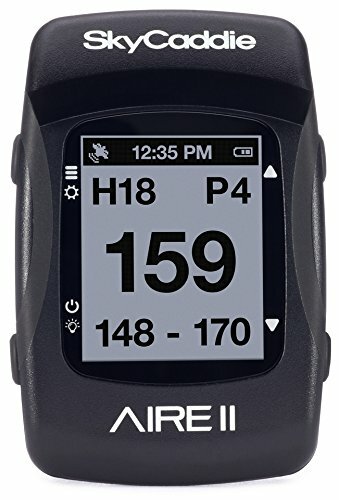 The device has a long battery life, typically lasting for three rounds of golf with an easy to read interface. 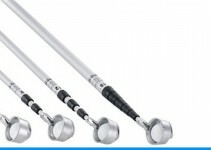 The device includes auto course recognition, auto hole advance and a multi-function clip for easy use. 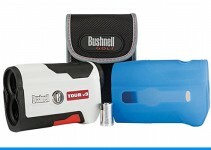 The Bushnell NEO ghost is water resistant, has a display area of 35mm x 35mm and has a recharge time of 4 hours. The unit has a downloadable manual and quick start guide as well as a USB charging cable. 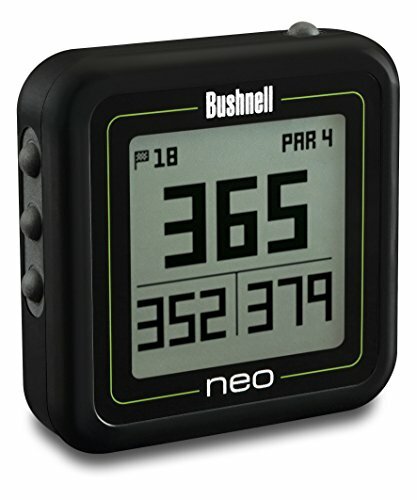 When you want a golf GPS system that is easy to use while fitting conveniently in your pocket, get the Bushnell NEO Ghost. 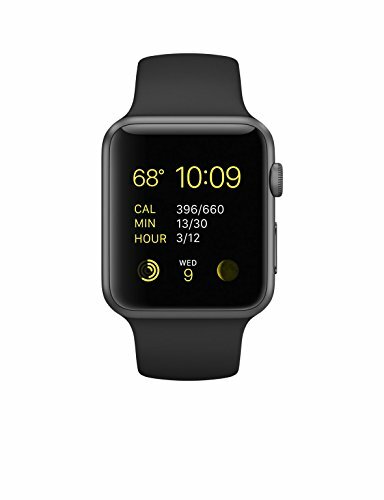 If you are looking for a dependable golf GPS device, take a look at the Apple Watch. With a stylish design the watch allows you to do a number of different things from paying your bills with your watch to text messaging and more. 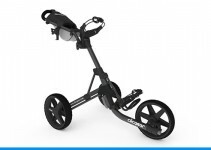 One of the features includes the ability to use the device as a GPS system for your golf game. 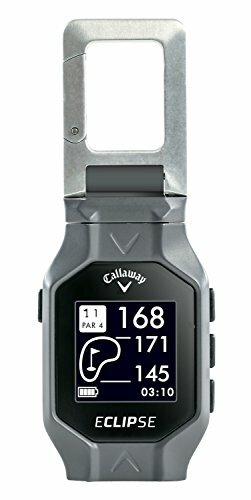 The watch includes a 3D flyover ability for a better view of the golf hole as well as a stat tracker and distance reader. The Apple Watch provides a realistic view of the fairway and green, allowing you to have a better idea of the distance needed. The watch comes in a number of different colors that allows you to customize the device to match your wardrobe as well as being easy to put on. When you want style with your GPS golf device, get the Apple Watch. When you want a golf GPS system that provides a sleek design with a dependable system, get the SkyCaddie Touch. This touchscreen PDA system includes bluetooth technology with over 35,000 preloaded golf courses and a simple to use system. The SkyCaddie Touch provides auto course selection with automatic hole advancement and auto zoom system as well as auto distance updates and auto green depth. The SkyCaddie Touch offers an eagle eye view of each hole with clear detail and dynamic rangevue system. The patented intelligreen technology provides the shape of the greens and approach angles for better plenning of how to play the hole. The SkyCloud 360 community gives you tips and advice from others who have played the course as well as stats and game data from your previous outings on the course. When you want an exciting golf GPS, get the SkyCaddie Touch. 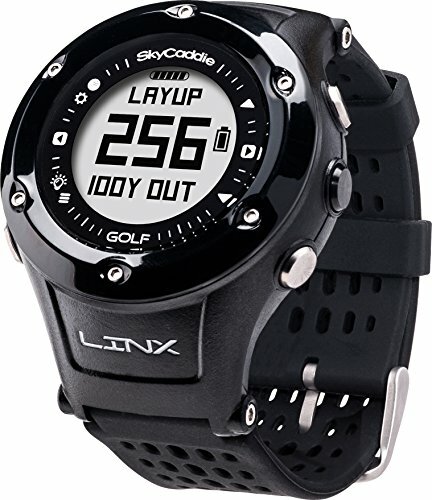 Enjoy a stylish and fun golf GPS system when you wear the SkyCaddie LINX Watch. Featuring 35,000 Trueground “best in class” course maps with dynamic distance features and high definition display. The Watch also features bluetooth smart wireless technology with IntelliGreen technology and displays of 40 hazards and other features. The SkyCaddie Watch is available in black or white and includes larger easy to read numbers. The LINX watch also includes Intelligent Automation features as well as auto hole advance and auto course recognition. The watch also features a fitness stopwatch with odometer display and a pace of play timer system. The watch is water resistant and has a 1.7 inch screen display with a high definition backlight button. Weighing 1.6 oz, the watch has an overall size of 2.8h x 2.0w x 0.7d inches. Get a fun and stylish GPS system with the SkyCaddie LINX Watch. Enhance your style of play when you use the Garmin Approach S6 Watch with a variety of features that are designed to help you improve your game. 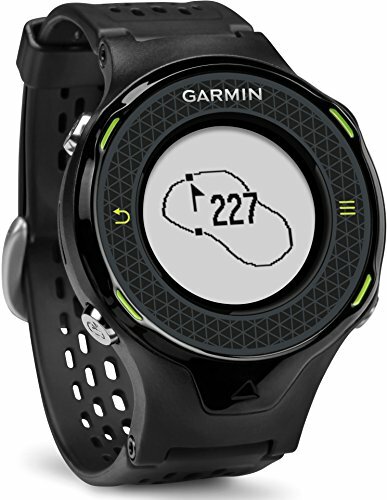 The Garmin Watch includes swing metrics with Tempo Training and SwingStrength. The system also includes a touchscreen system that is glove-friendly and allows for manual pin-positioning and includes more than 40,000 courses around the world. 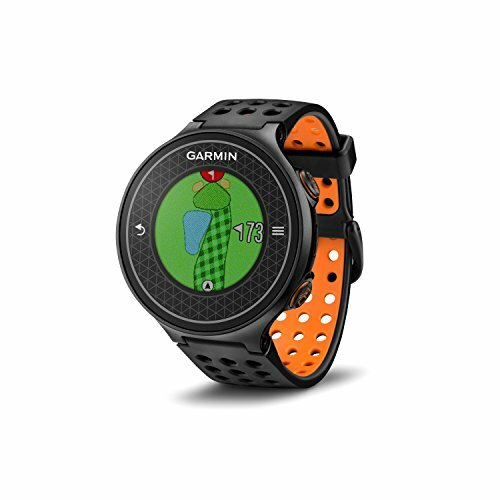 The Garmin Watch provides training systems that help you with parts of your game such as customized distance readers and scores and shot measurements so you can keep track of how you did on previous rounds. The Garmin Connect Golf system includes an online community that provides tips and information from others who have played the same course. The Garmin Approach S6 Watch is designed to help you improve your game and keep track of your information.